Alone and lonely, time stands still, like a forgotten child, sitting or lying down, sometimes looking up far into the distance, hoping against hope, sometimes closing eyes silently and quietly, the girl seems sad and fragile. It is the contrast and contradiction of one’s inner world, just like little children wish to grow up and the grown hope to get back to childhood. 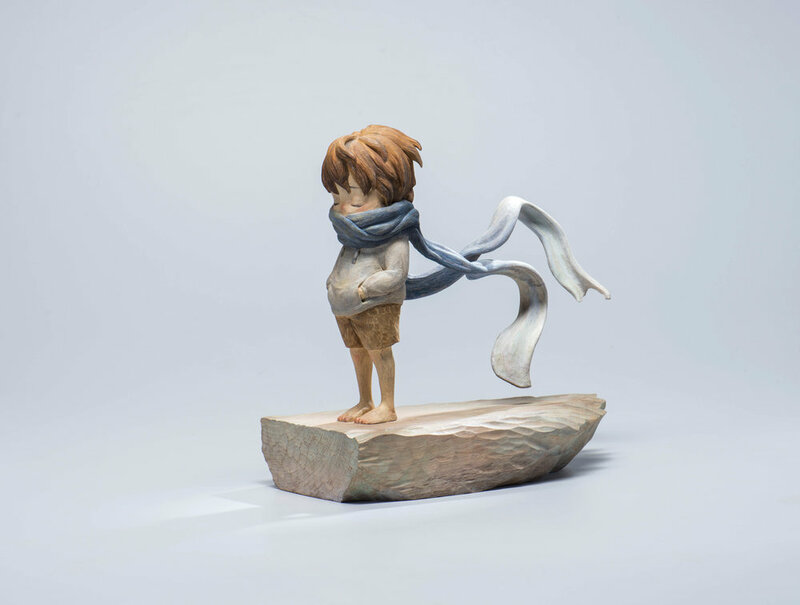 Leaving clear chisel mark, Liu Sing Yi’s sculptures look like every track of life, so deep, without covering up, while adding on beautiful sweet colors, they look as if the protective colors for hiding real-self during the growing stage. The sad, desperate face means a result of the conflict between her initial dream and anticipation. At last, drawing back the original real-self, she chooses to retain the beautiful innocent form to face the world.